Today’s winner at the Volvo Classic Ocean Race in Newport made victory look easy. With overcast skies, helicopters abuzz overhead, a harbor packed with water treading vessels and a shoreline chuck full of spectators we were all engrossed in this race of titans. These six world renowned teams lined up to jockey for position; Team Alvimedica, Team Mapfre, Team Abu Dhabi, Team Dongfeng, Team Brunel & Team SCA. 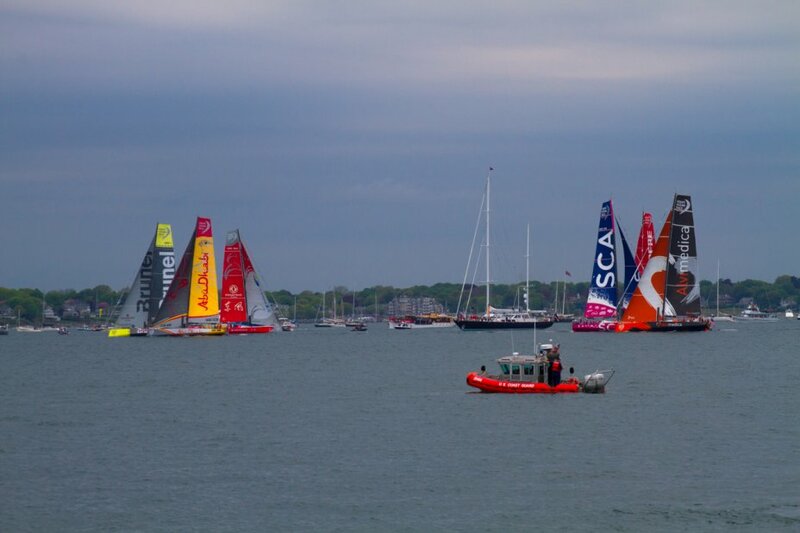 The gun went off to begin the race and almost instantly, Team Mapfre took lead. From that point on Team Alvimedica was the only team to see Team Mapfre’s tail triumphantly plow through the finish line. Sunday May 17, these teams will embark on leg 7 to Lisbon, Portugal. With tomorrow’s send off only hours away Team Abu Dhabi is leading the pack. This race has no clear winner yet! Keep following news updates to see who wins.